Powerful UHF antenna, requires NMO mount. Typically installed through-the-roof. Very popular for public safety and commercial vehicles. 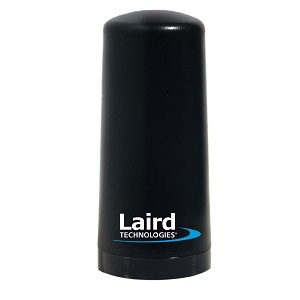 The original patented Phantom Field Diversity low profile antenna sets industry standard that can not be duplicated. The Antenex Original Phantom low profile antenna requires a Standard NMO Mount (Common NMO Mounts,all NMO Mounts). Most NMO mounts are installed by drilling a hole in the roof of your vehicle (roof must be metal). The cable is then routed under the headliner to the radio's location. This provides for an excellent ground plane and very solid permanent installation. Trunk lip mounts are also available. Specified by public safety, military, utility and transportation providers and installed on Apache, Black Hawk and Chinook helicopters and Humvee and Bradley military vehicles around the world. Powerful permanent (N/Female) mount UHF antenna. Very popular for high risk applications such as metering where antennas must resist vandalism and achieve economical mounting.